We have more.....Don't miss out on the incredible opportunities to own in Placida Harbour. The superior amenity package which includes private boat service to and from Little Gasparilla Island and 7 miles of white sandy beach. Watch the sunsets from your lanai. Waterfront condos in a spectacular setting. Contact Doreen (888) 941-9444 for more details on how you can become a part of this awesome community. Announcing a price reduction on Placida Beach Unit 402, a 970 sq. ft., 1 bath, 1 bdrm single story. Now MLS® $99,000 USD - Best Price. National Association of Realtors® (NAR) President Moe Veissi, who served as Florida Realtors president in 2002, explains why conditions have never been better to buy a home in an online radio interview. The Real Estate Today interview can also be forwarded through Facebook and Twitter to friends, family and clients. To hear the five-minute radio interview and forward to friends and clients, visit the Real Estate Today website at: http://retradio.com/?p=4916. Announcing a price reduction on 2403-11000 Placida Road, a 2,843 sq. ft., 3 bath, 3 bdrm 2 story. Now MLS® $889,000 USD - Reduced!. Placida Point, Placida - Announcing a price reduction on 13065 Via Cassia, a 1,739 sq. ft., 2 bath, 2 bdrm single story. Now MLS® $249,900 USD - SHORT SALE. BANK APPROVED PRICING! Placida Harbour, Placida - Announcing a price reduction on 301-11000 Placida Road, a 1,593 sq. ft., 2 bath, 2 bdrm single story. Now MLS® $299,900 USD - REDUCED!. Placida Harbour Unit 2301 - REDUCED to $365,000! • 1,973 sq. ft., 2 bath, 2 bdrm single story - MLS® $365,000 USD - REDUCED! Placida Harbour, Placida - Beautiful waterfront condo at Placida Harbour Club. Views of lake and glimpse of ICW from this two bedroom two bathroom condo. Spacious and bright with plenty of room for entertaining. • 1,973 sq. ft., 2 bath, 2 bdrm single story - MLS® $399,000 USD - REDUCED! Placida Harbour, Placida - Announcing a new listing at Placida Harbour Unit 2301, a 1,973 sq. ft., 2 bath, 2 bdrm single story. Now MLS® $399,000 USD - NEW LISTING. Placida, Charlotte County - Announcing a price reduction on 404-9200 Little Gasparilla Island, a 768 sq. ft., 1 bath, 1 bdrm single story. Now MLS® $88,000 USD - Beach Unit 404 Reduced!. Placida, Charlotte County - Announcing a price reduction on 402-9200 Little Gasparilla Road, a 970 sq. ft., 1 bath, 1 bdrm single story. Now MLS® $28,000 USD - Fractional Ownership. Placida Harbour, Placida - Announcing a price reduction on 11000 Placida Road, Unit 1703, a 2,085 sq. ft., 3 bath, 3 bdrm single story. 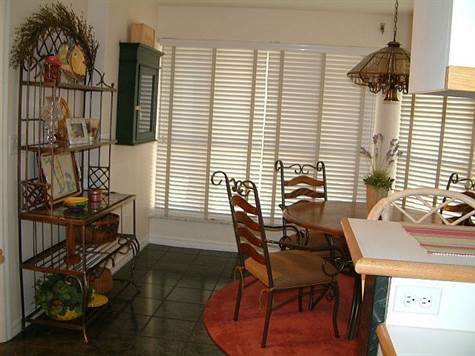 Now MLS® $449,000 USD - Unit 1703 Reduced!.